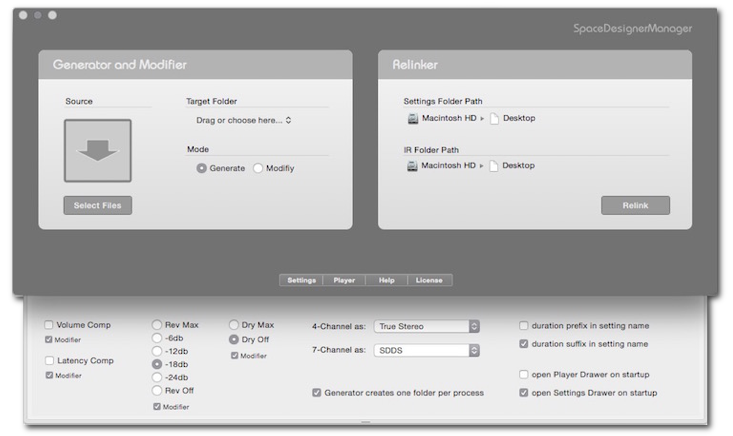 Space Designer Manager is the ultimate tool for Logic Pro's Space Designer. It batch generates the settings needed in conjunction with impulse responses in seconds, relinks settings with their responses and batch modifies important parameters. The VSL Performance Tools let you use all your EXS24 Vienna Symphonic Libraries again directly in Logic Pro X with 64bit. The bundle includes four midifx scripter plugin tools: Legato, Repetition, Articulation and Multi Instrument Tool. The ES2 Excursions Soundset for Logic Pro's ES2 Synthesizer shows the true potential of this classic gem. You will get sounds which make it very clear that you don't really need a lot of other synth plugins, when there is such a talented one included with Logic Pro already. SDM Version 2.3 is available for download.